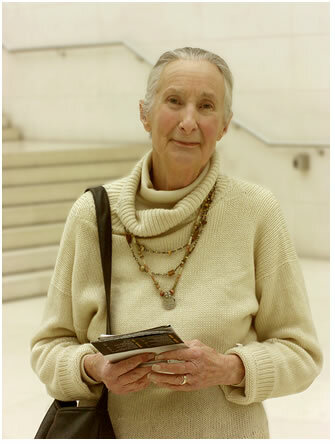 An opinionated art historian, impossibly thin and with a voice that gets itself heard, Pamela Tudor Craig comes to mind in this, the centenary year of John Ruskin (b. 8 February 1819). I was pondering on his relationship with Edward Burne-Jones and wondering if BJ would be having his own retrospective exhibition this year at the Tate were it not for Ruskin. That raised the question, would my novels exist without Tudor Craig? Well, yes they would, but dragged low by their author’s self-doubt. Pamela didn’t cure me of self-doubt, but she did shout over it, and I can still hear her voice, the voice that made the National Gallery tremble when she strode into the bookshop crying, ‘Why aren’t you selling the novels of Linda Proud?’ The following week, they were, but alas no longer. Pamela left us last year and, like an orphaned child, I must make my own way. I first came across this formidable lady as the eccentric presenter of a series of films for TV called ‘The Secret Life of Paintings.’ I was on the umpteenth draft of A Tabernacle for the Sun, struggling to say in under 500 pages what she had summed up in half an hour in the film on Botticelli. When my admiration for someone is genuine, I have no problem speaking to them, any shyness dispelled by a sense of gratitude. So, after a talk she gave, I approached her. Who know what she saw or heard? To my amazement, she read my book and the admiration became mutual. I think it must have been like that for anyone championed by John Ruskin. He did not create the Pre-Raphaelite Brotherhood, he brought them to public notice. He influenced them, of course, but he didn’t make them from scratch. The second generation, Edward Burne-Jones and William Morris, were perhaps more properly under his influence in their creation of the Arts and Crafts movement but still, Ruskin was merely calling out what was already in them. I first came to John Ruskin via the Pre-Raphaelites. At the age of 22, I was in the last stages of a dreadful episode of agoraphobia and living in the dark. My job as a picture clerk was well-suited since I was physically in the dark most of the day, bent over a light box checking colour transparencies of fine art. The taste of the time – the 70s – was the Pre-Raphaelites. The day I wondered what it meant, to be pre-Raphael, was the day I began to get better, the day the life I am now living began. I went to the library and came back with a book on Botticelli. Ruskin, therefore, like Pamela, was a major influence on my life, but he didn’t create that which, within me, thrilled to 15th century Florence. And so it was with Burne-Jones and the rest. Moving to Oxford in the 80s was to move within the ambit of Ruskin’s reputation. His was a name well-known around town; his love of the neo-Gothic informed the architectural design of north Oxford, his taste for natural forms is reflected in the remarkable stone carvings of the University Museum, and his art school, born at the Ashmolean Museum, now bears his name: the Ruskin School of Art. I called my pet rabbit Ruskin and loved him dearly. When reading up for the book that was to become Consider England, I dipped into the works of Ruskin and absorbed enough for the wisdom of Ruskin to begin percolating through the mind to the soul. 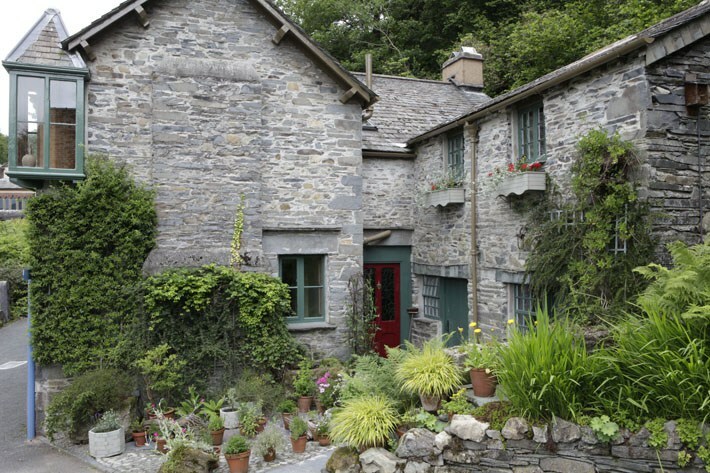 Rekky trips around the country with artist Valerie Petts led us to visit Brantwood, Ruskin’s house on Coniston Water, then in its first days as a museum. It was in the 80s that I began patchwork quilting. I no longer do it, but just this week have taken a nearly-done quilt from deep dormancy in a cupboard, determined to finish it. The very act of piecing the fabrics and sewing them together is so John Ruskin. Novelists and film-makers have a responsibility to tell the truth but most of them don’t even bother to find out what it is. After all, the truth has a way of spoiling a good story. So I duck under the cushions when a film such as Effie Gray or Mr Turner comes out, and stay there, sketching natural forms by candlelight, until the baying mob, once again, forgets Ruskin and chases other prey. Two years ago while we were on holiday at Coniston, a friend picked up a book of the life of Ruskin in images, which I browsed in depth. At the end of it, I decided that there was something decidedly iffy about the small group of people who were his companions and carers in the last years. Were all those photos of him as a majestic old man in fine wool coat, posing with Sir Henry Ackland, or William Holman Hunt, just that, posed? Ruskin was in the last stages of mental collapse and, when you look again, you realise he wasn’t even there. 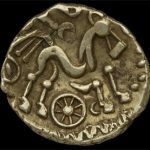 But the group who would become his literary executors wanted to maintain his reputation to keep up the book sales. They depended on it. An essay in three parts by Prof James L. Spates has recently been published on VictorianWeb. Because of its length, I haven’t got to the end of it yet but hope to summarise it in a future post. Suffice here to say that he also points a finger at that group, saying there were responsible for our debased view of a great man, but that their actions were well-meaning – good intentions gone wrong. I have included the three-part essay amongst the links below to really wonderful articles and material on Ruskin. It could be that the real celebration this year is going to be the restoration of the reputation of one of the kindest, loveliest, wisest men ever. A man whose work and thinking inspired Gandhi, Tolstoy, Martin Luther King, as well Olivia Hill and Beatrix Potter (National Trust). 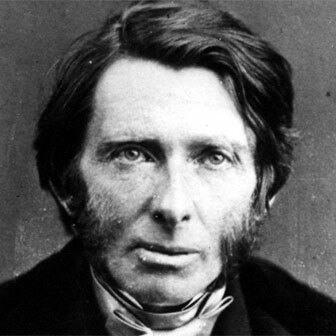 So much of what is good in our nation (and on the point of being lost) began with Ruskin: public libraries, Arts and Crafts, welfare state. But what does the mob crow when they hear his name? Pervert! The dark cannot bear the light. But now there is hope. On 25th January in the Financial Times was an item about young entrepreneurs who have founded a furniture factory called ‘Unto This Last’, dedicated to happiness and a sense of purpose in the workplace. If only we could set aside our ill-founded prejudices against Ruskin, he would be our guide through this new industrial revolution, reminding us always of what is important. 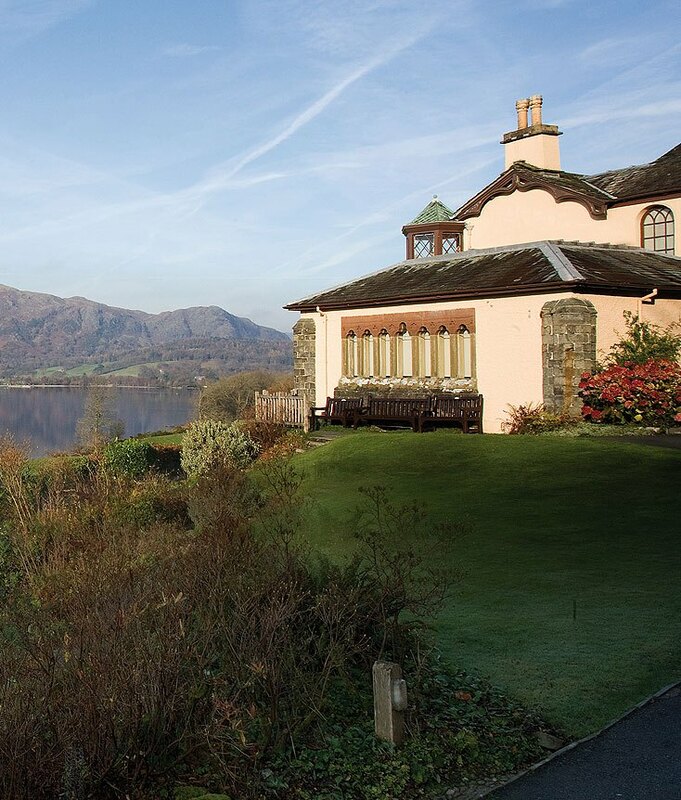 NOTE: I’m organising a writers’ retreat at Brantwood Lodge in March. One bedroom-study is available due to a cancellation. Anyone interested? Please get in touch for details. A wonderful read, as was Leaves from the Sibyl’s Cave. My favorites so far. Thanks, Ellen! It really helps to get feedback. Now I shall try and keep up the standard.